For me, it is a little hard to imagine that there is a man actually named Charles Schwab. The investment and financial service powerhouse firm is actually quite young in the grand scheme of things on Wall Street. 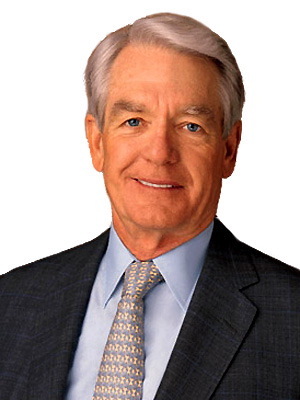 Charles Schwab founded the company that bears his name in 1973. Like the company, the man Charles Schwab is an icon in the investing world that ranks right up there with Warren Buffet and John D. Rockefeller. Charles Schwab recently gave an interview with Conde Nast Portfolio magazine in which he said that the current market is an excellent one for people just starting to invest. He is right, of course. Now is a great time to buy stocks and stock mutual funds. Prices of great companies with solid fundamentals and finances are the lowest that they have been in years. P/E Ratios across the board are redicously low. There has never been a 10 year period in the U.S. stock market that stocks did not rise in value. Now could not be a better time for a long term investor. The buy and hold mentality and patience will pay off handsomely in the years to come. Today the firm Charles Schwab serves nearly 7 million active investors with more than $1.3 trillion in client assets. You can read Charles Schwab’s entire interview at the magazine’s website. 3. Lump Sum or Dollar Cost Averaging?